A Former Assistant District Attorney With A Practice Dedicated To Only Criminal Defense Work. You have too much at stake to choose the wrong attorney. Former Assistant District Attorney, with 15 years of prosecutorial experience. As a Court Sworn Attorney Referee, settling civil disputes between parties. l former CLE (Continuing Legal Education) Instructor. Teaching / Instructing fellow attorneys on specific areas of the law. Earning a BA in History with a Political Science Minor from Buffalo State University along with a Juris Doctorate Degree, from Thomas Jefferson School of Law. 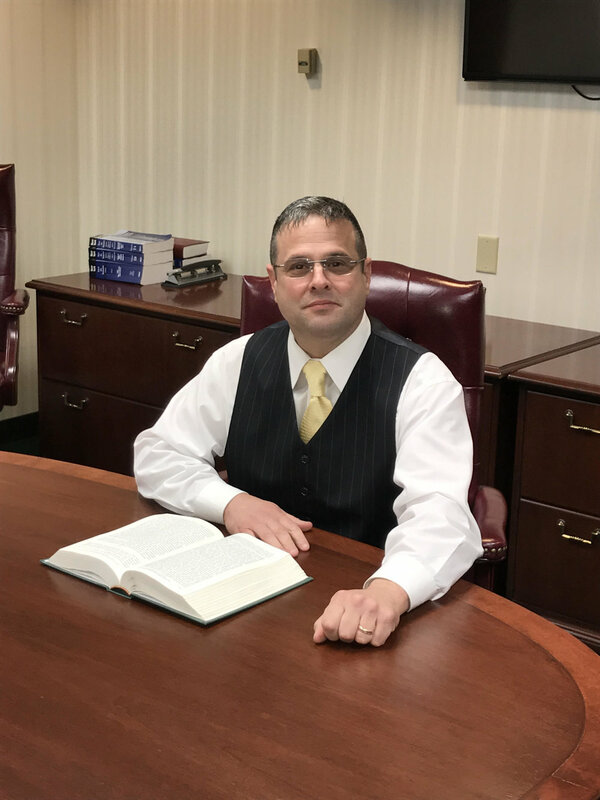 Robert is a criminal defense attorney with 15 years of prosecutorial experience, knowledge and skill that can only be acquired from actual courtroom experience. Member of the Cortland County Bar association. The Experience Of A Former Assistant District Attorney By Your Side. Let my skill, knowledge and experience work for you. As a Criminal defense attorney and prosecutor, I have been involved in over 10,000 criminal cases. As a defense lawyer and Former prosecutor I have taken numerous cases to trial; from mere traffic offenses to serious felonies. My entire legal career has only focused on one aspect of New York State law, that being sections of the penal and criminal code. Having taught other prosecutors throughout the state, areas of the law and how they are properly prosecuted. I will be the only one handling your case, it will not be turned over to a less experienced attorney. No legal assistants, no paralegals, no other attorneys; I will personally handle every aspect of your case, no exception. My offices sole focus is criminal defense work. When we meet you will not be meeting with a defense/personal injury/Former assistant district attorney who now practices criminal defense law in Cortland, you will be meeting with someone who only concentrates on criminal defense work. If you are looking for the immediate assistance of experienced defense lawyer in the Cortland region, feel free to schedule a consult today.